Ships tomorrow if you order in the next 17 hours 47 minutes. Oxidative stress is happening all day, every day due to high stress levels. It's a cause of free-radical damage, which can damage your cells and leave negative effects on your overall health. Your body helps fight free-radicals by producing antioxidants, and while naturally produced ones can boost your health, sometimes your body needs more. 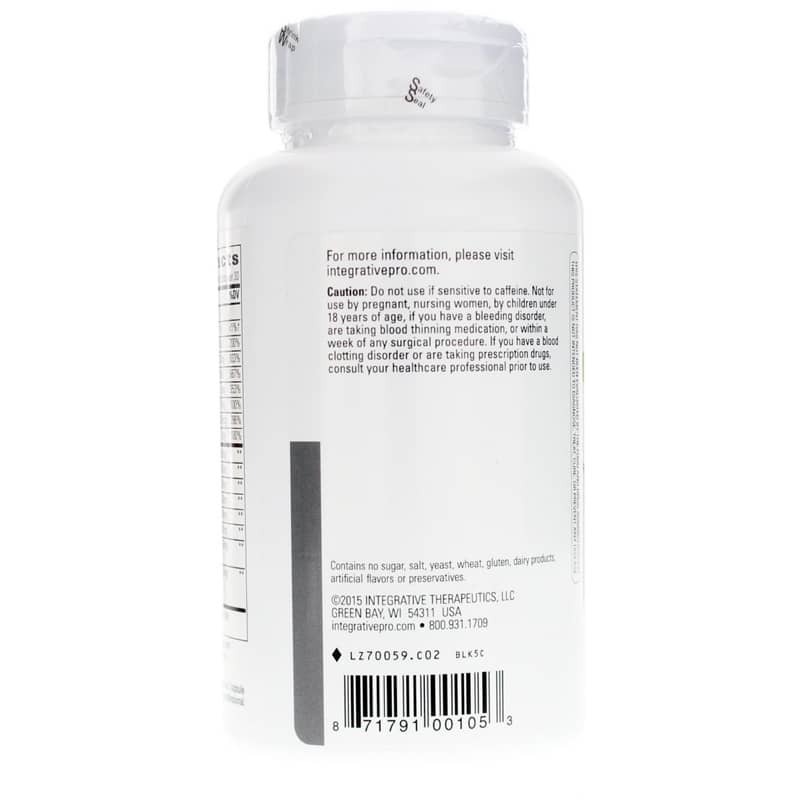 Clinical Nutrients Antioxidant from Integrative Therapeutics contains powerful concentrations of fifteen different antioxidants that support your cell health. 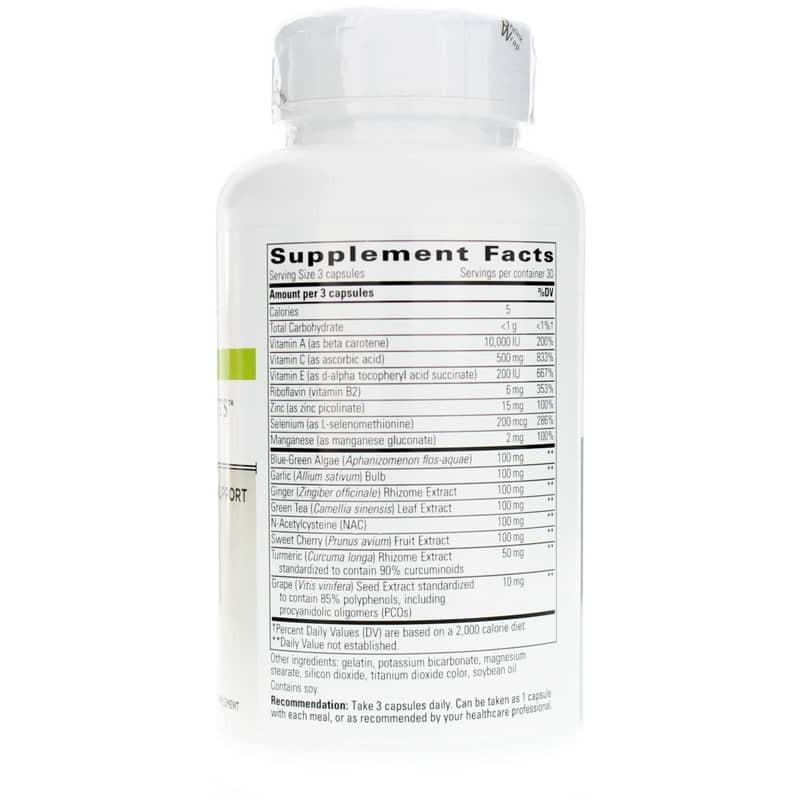 Other key ingredients include sweet cherry, ginger, garlic, and cabbage extracts, as well as blue-green algae, and other food-based ingredients that provide optimal antioxidant support. Make the right choice to enhance your body's antioxidant capacity and protect your cells against oxidative stress and free-radical damage. 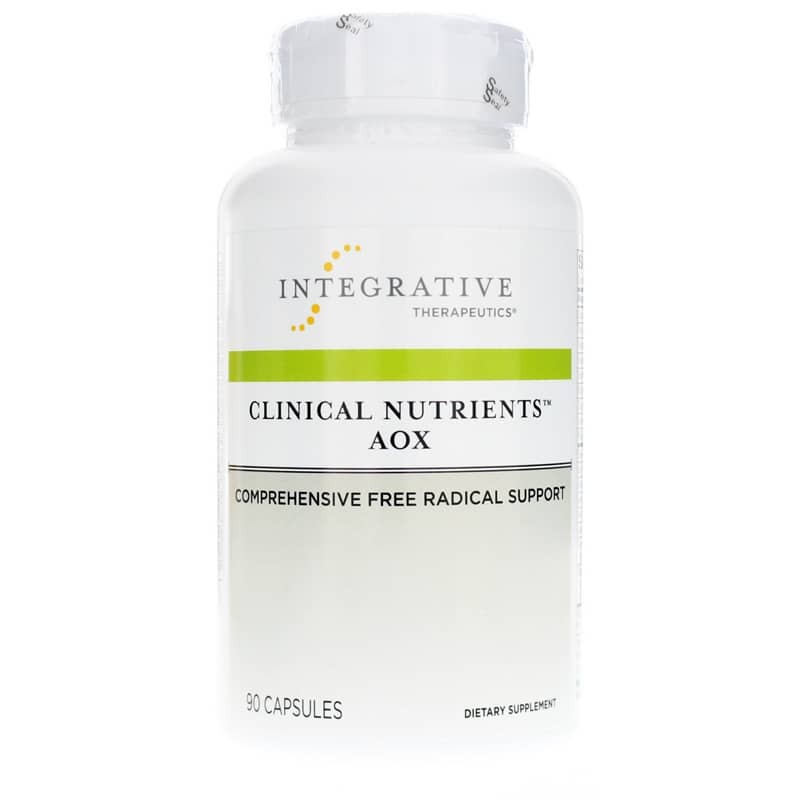 Give Clinical Nutrients Antioxidant from Integrative Therapeutics a try today. Other Ingredients: gelatin, potassium bicarbonate, magnesium stearate, silicon dioxide, titanium dioxide color, and soybean oil. Contains NO: sugar, salt, yeast, wheat, gluten, dairy products, artificial coloring or preservatives. All colors used are from natural sources. Adults: Take 3 capsules daily. Can be taken as 1 capsule with each meal or as directed by a physician. Do not use if sensitive to caffeine. Not recommended for use by children under 18 years of age, pregnant, or nursing women. If you are diabetic, have high blood pressure or are taking prescription drugs, consult your healthcare professional prior to use. Keep out of the reach of children.